Have you ever read an interesting online article and wanted to save it for later? Chrome has a nifty trick that allows you to save any page as a PDF. Press Control (or Command) + P to print. You can also click on the triple dots and find "print". 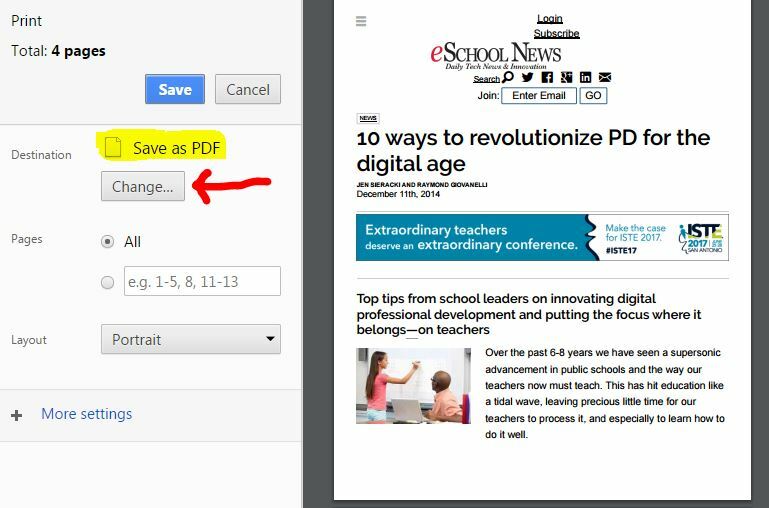 Next to destination, click "change"
Choose the option "Save as PDF"
-Reducing Clutter: Instead of bookmarking, you can organize these articles into folders and share with colleagues. To reduce ad and sidebar clutter on the page, use the Chrome Extension "Read Mode"
​Before saving as a PDF, click on the glasses to enable reading mode. If desired, choose to only save select pages of the article. Hope this tech tip can help you! Tonight, our middle school is hosing its 2nd annual STREAM night. I will be representing the T (technology) and science. The resource I am excited to share is Google's Made with Code. I find the projects on Made with Code relevant, engaging, and helpful to translate block based code into line coding. 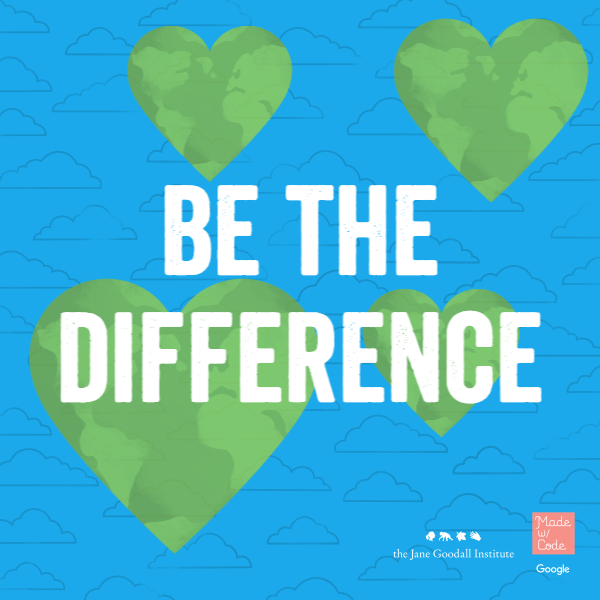 On the project, madewithcode.com/projects/earthday, I am able to use encapsulation, sequences, and objects to create an Earth Day poster. The site allows me to use blocks to design, but flip into the "see the code" section to see how it applies. After completion of the project, I can share my image via Facebook, Twitter, Tumblr, Google+ or download the image. This connection helps deliver a message to a broader audience. My other favorite resource on the site is the Mentors section. This page contains 12 videos highlighting females around the world who are using code to make a difference. Each video is only 2-3 minutes long, but has a lasting impact. A trick to using the site it the keyboard shortcut, "Control (or Command) + A". This selects the demo text on the page to delete in one click. I use Hemingway to proofread blog posts or important e-mails. Hope this tool can help you or your students!